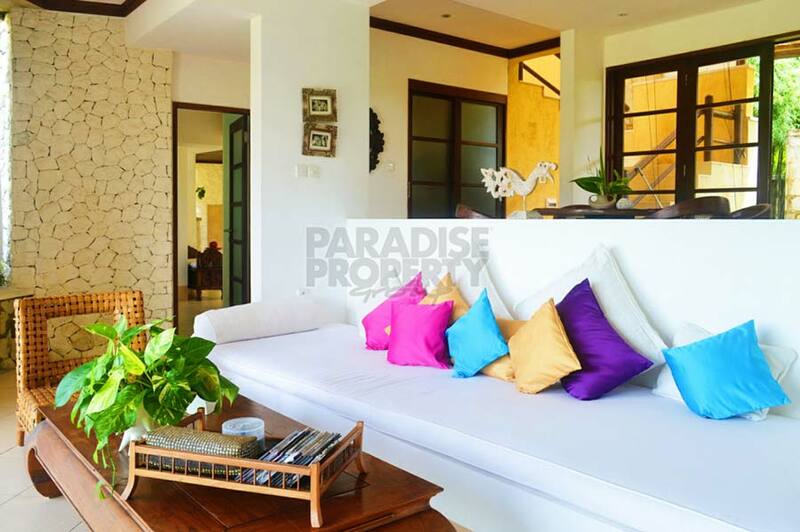 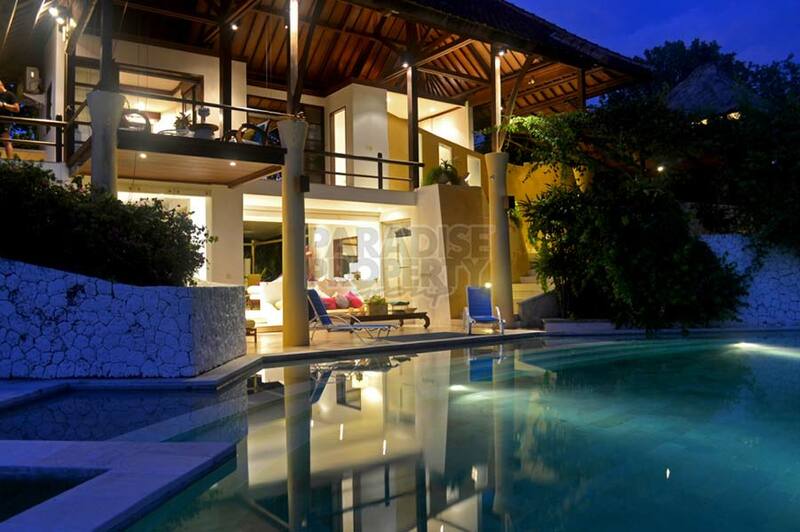 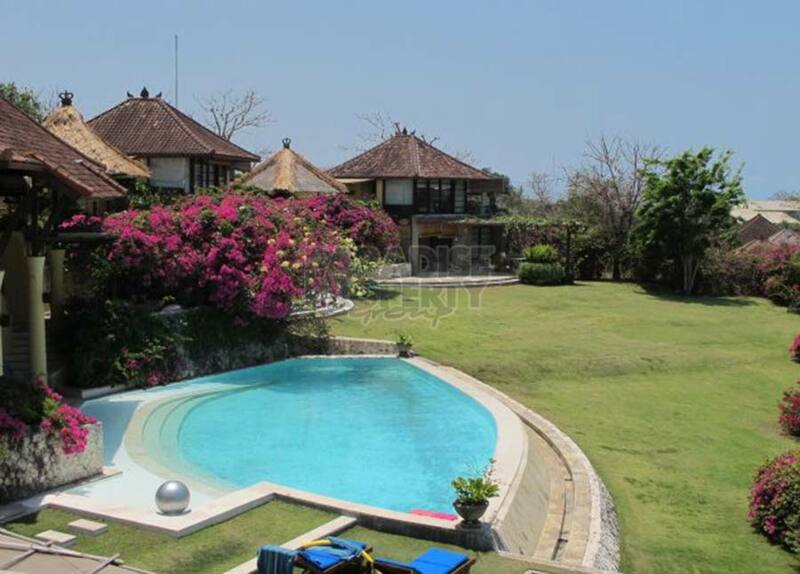 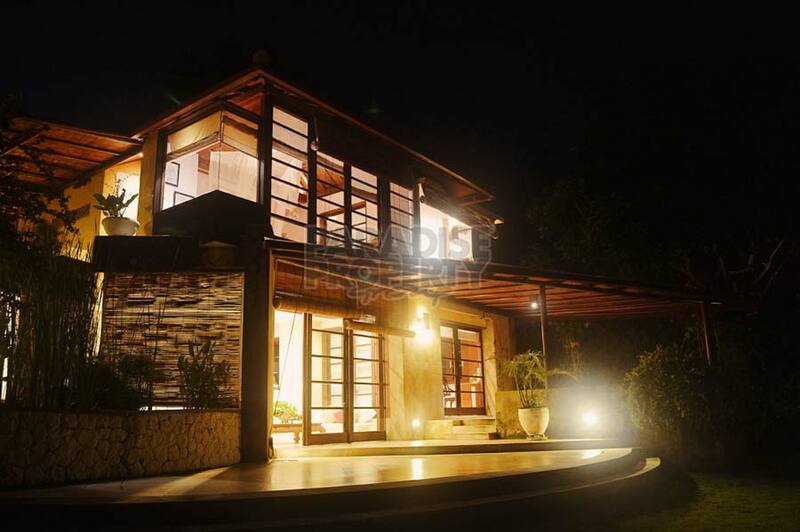 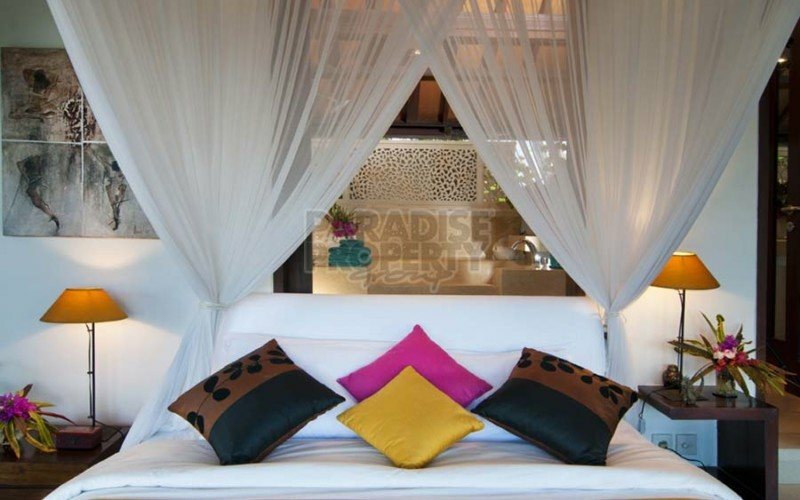 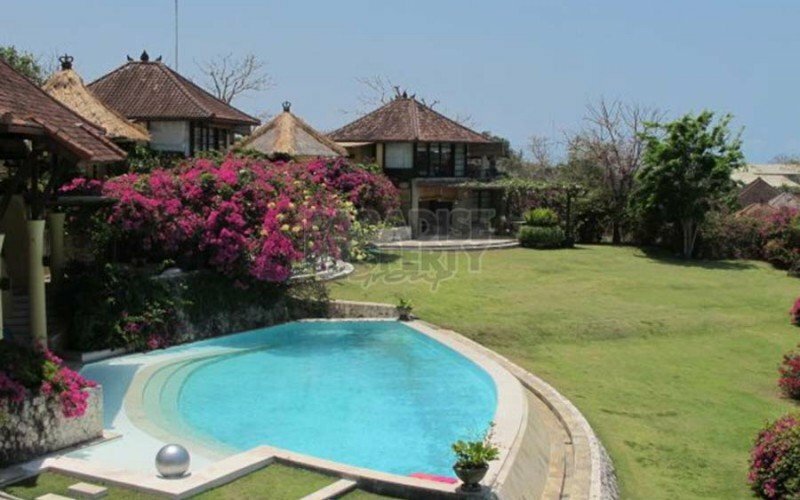 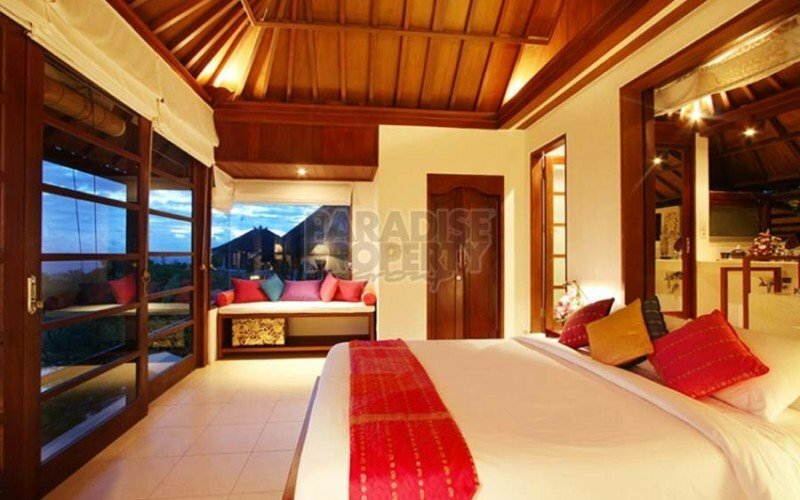 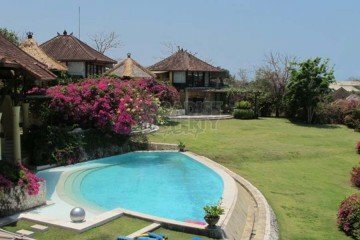 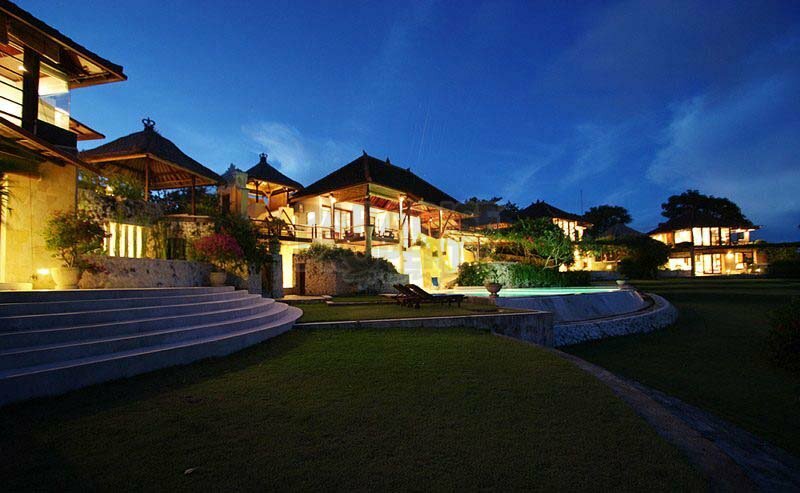 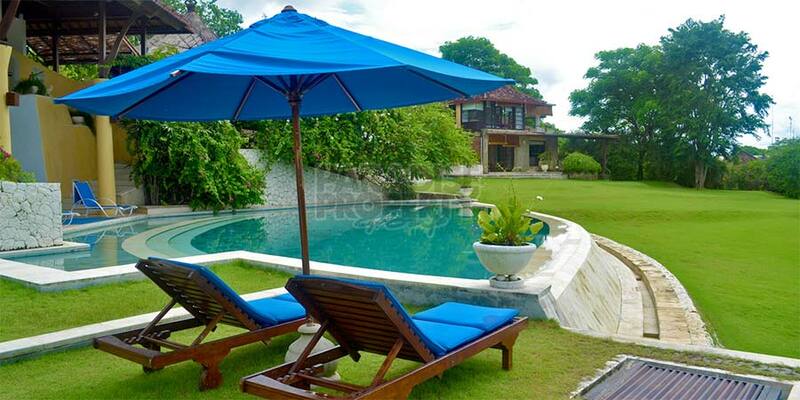 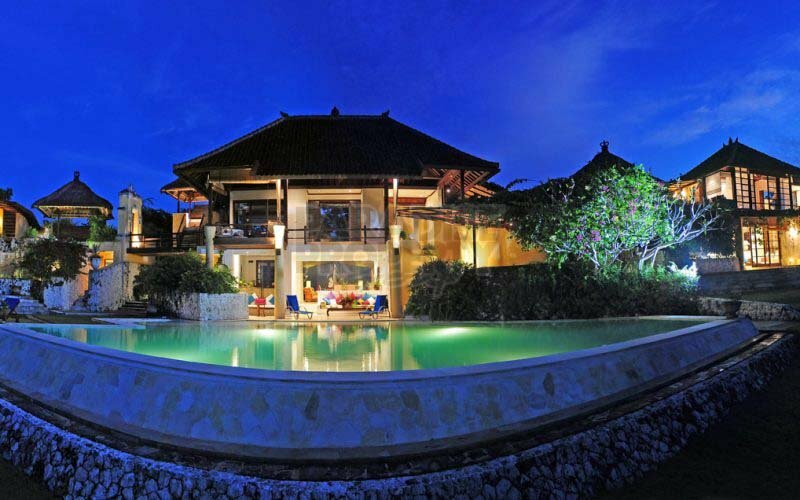 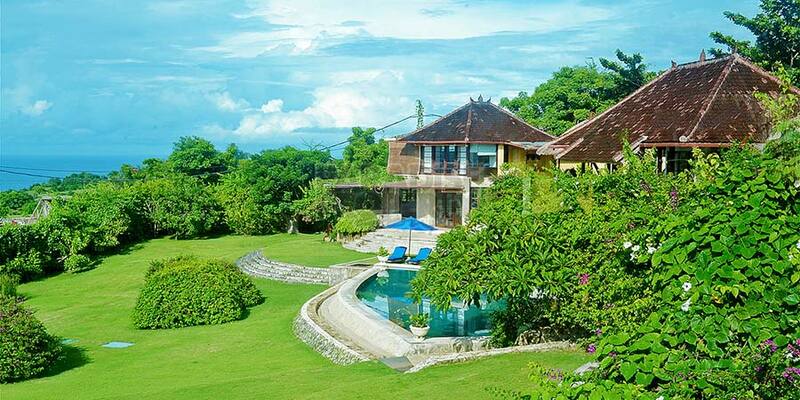 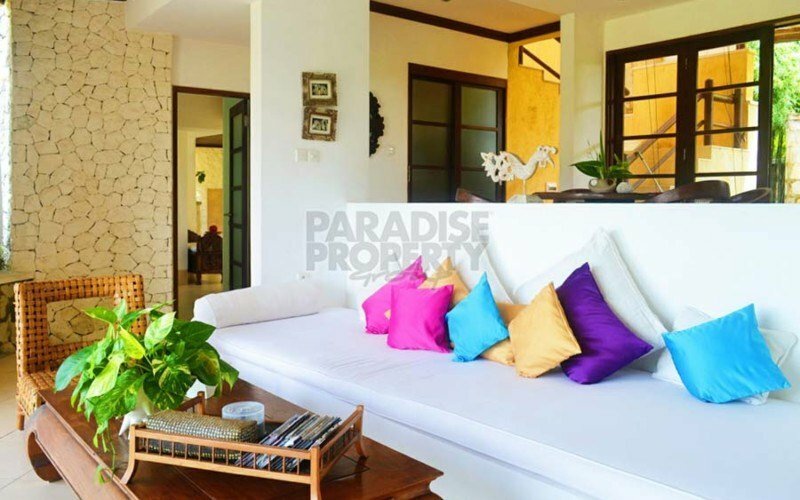 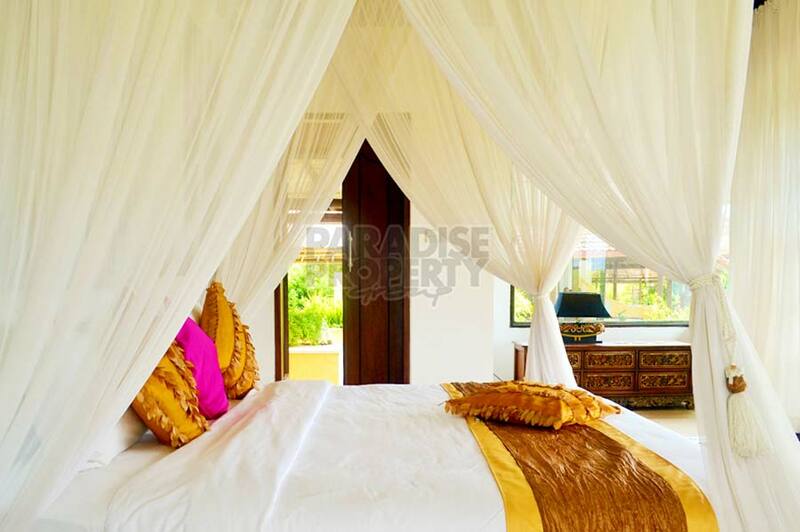 This freehold four villa, seven bedroom complex in Nusa Dua, rests on 5,500 square metres (55 are) of prime land, located on the southernmost tip of the island of Bali. 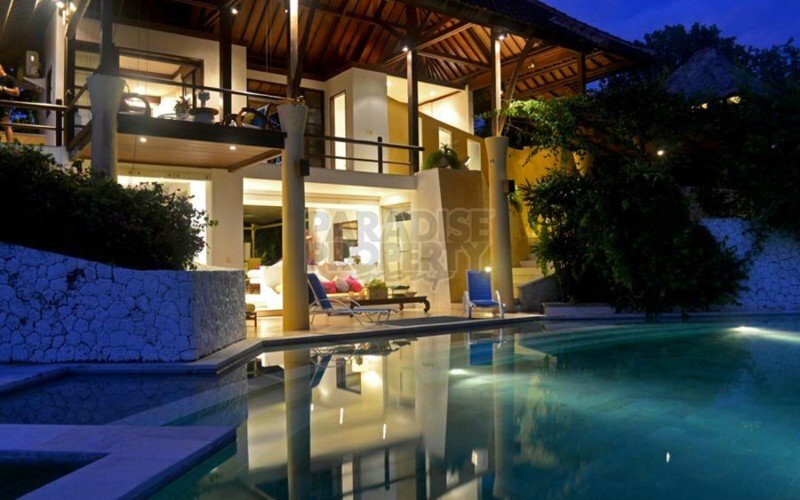 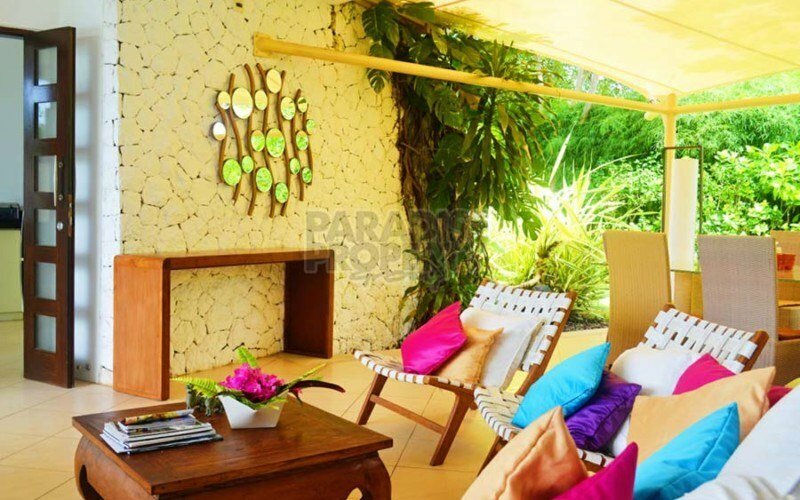 The property is comprised of four spacious, two story villas, with open-air pavilions and a shared swimming pool, situated in a beautiful garden. 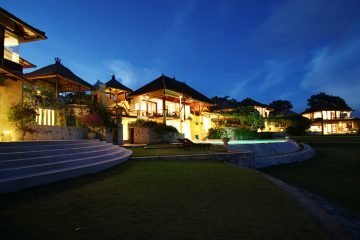 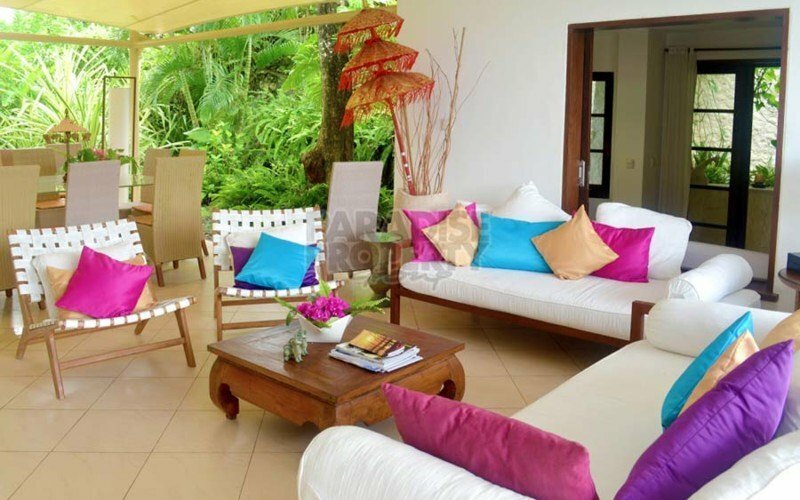 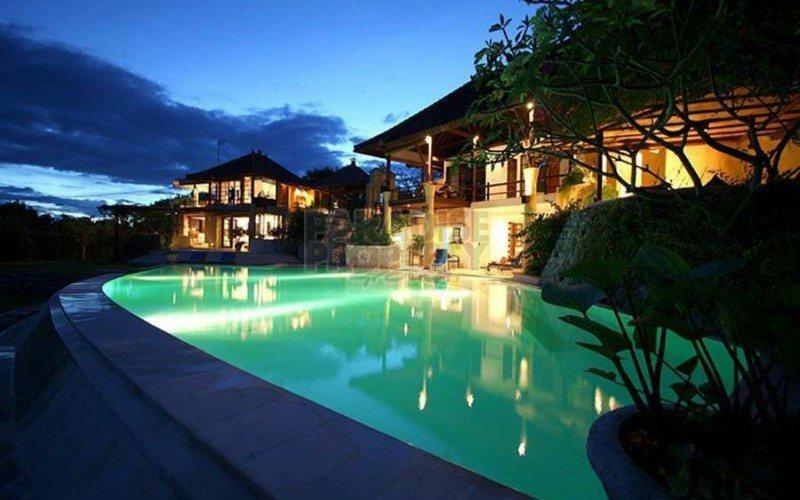 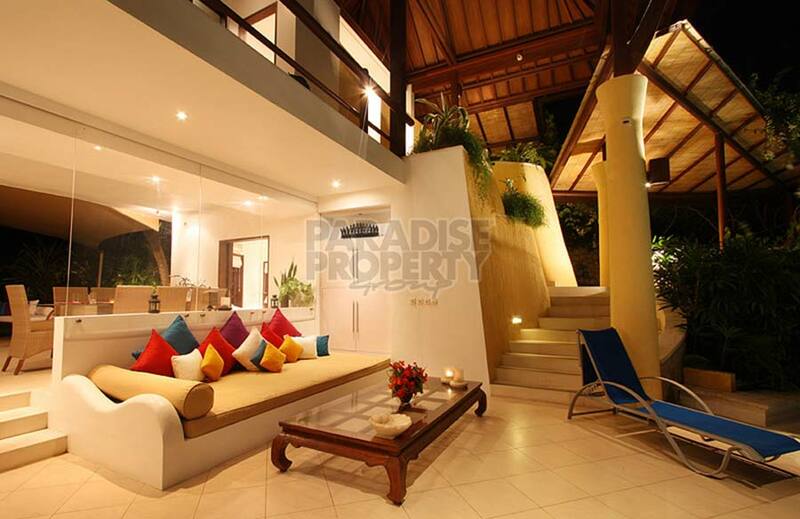 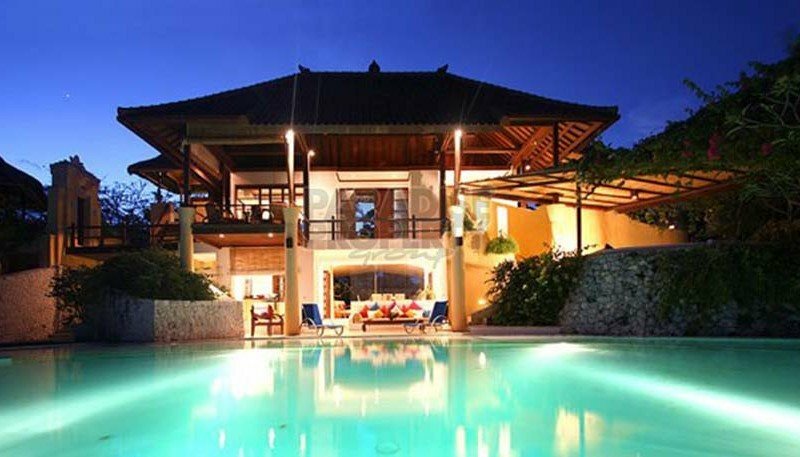 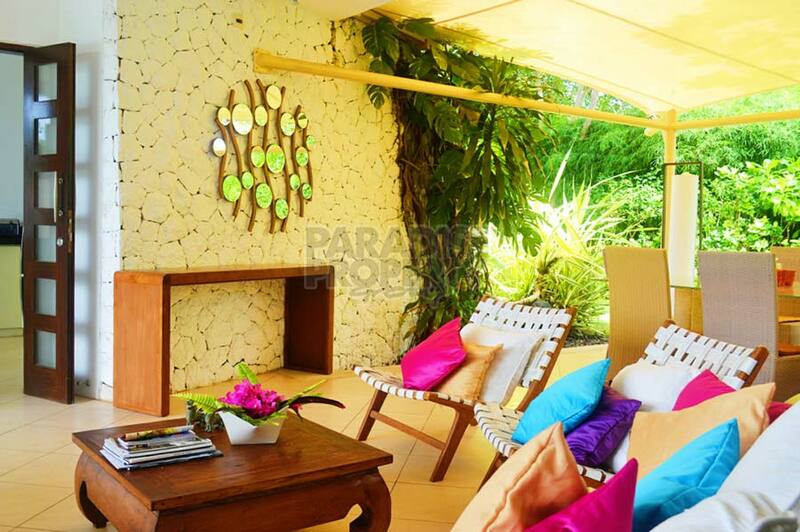 This gorgeous, extensive villa complex is located within an exclusive area of splendid, private villas. 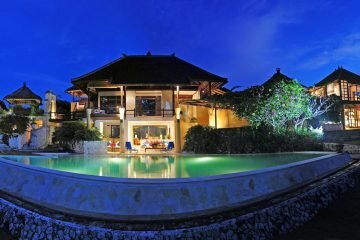 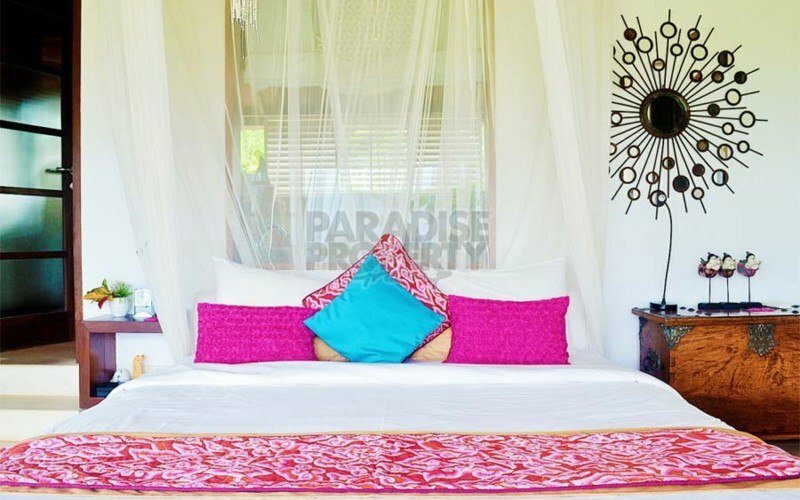 This amazing complex incorporates traditional Balinese architecture into a modern design, giving you a feeling of peace and luxury and with its lush gardens, pavilions, lotus ponds and terracotta embellishments, it is an ideal setting for a peaceful getaway, close to some excellent surf breaks. 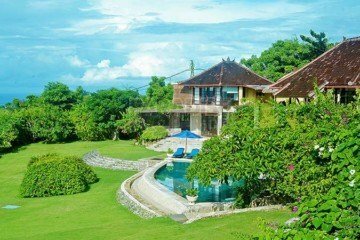 Three garden nestled villas surround the main house and are set amidst traditional dry-land rice terraces, highlighting sweeping ocean views. 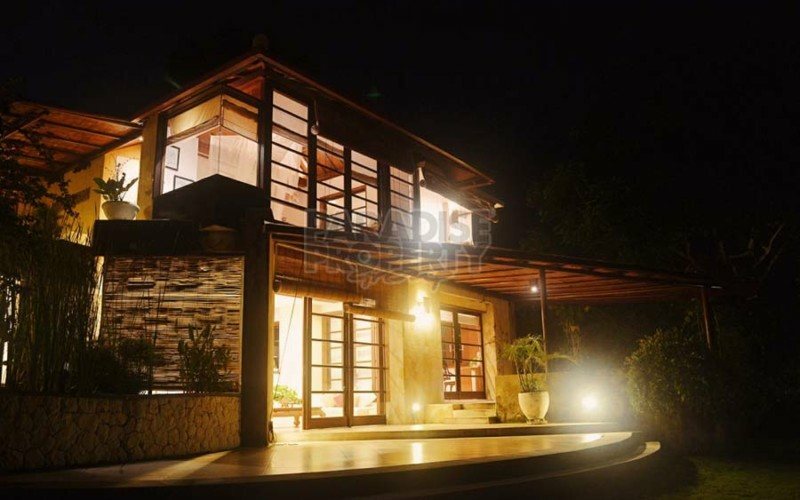 The main house is designed around a large, centrally located swimming pool, and boasts a lovely bedroom, a library with internet access, common living and dining areas, a recreational room for TV and DVD viewing, and a fully equipped modern kitchen. 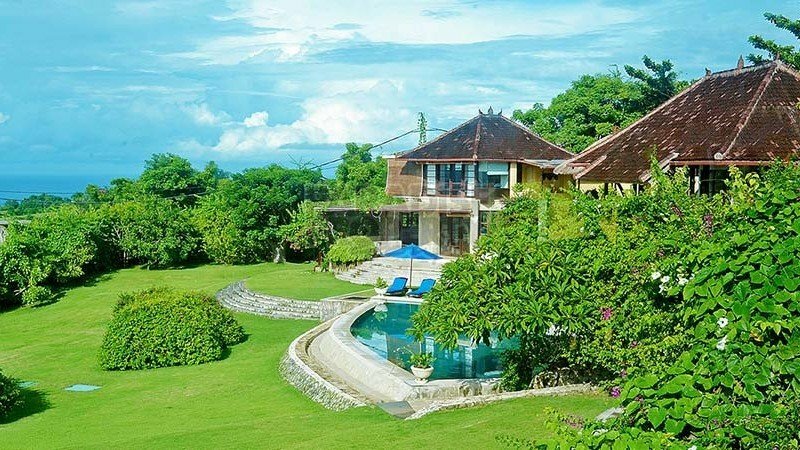 The highlight is a second story wooden balcony with 180 degree views of the surrounding countryside and ocean; ideal for sunset viewing with a glass of champagne. Villas A, B and C floor plans are similar, with individualized decor. 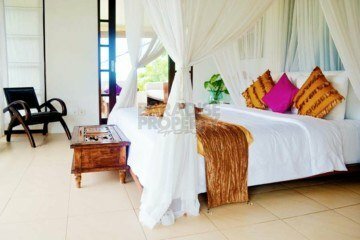 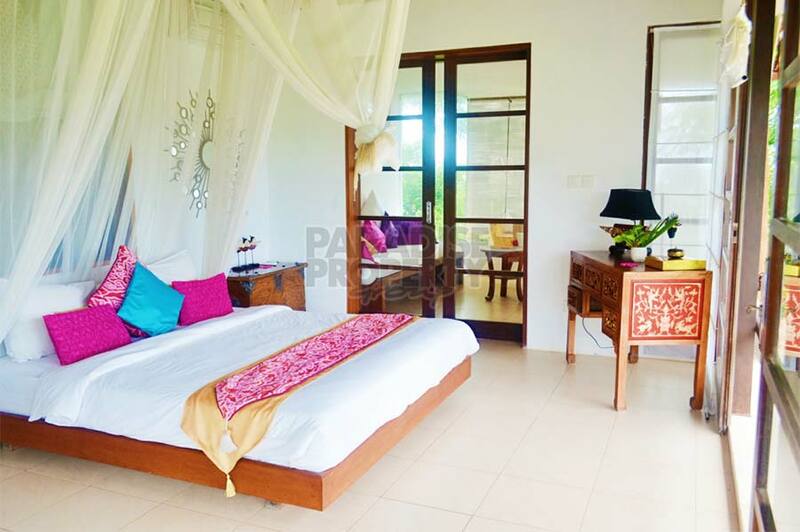 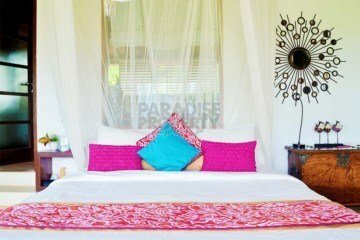 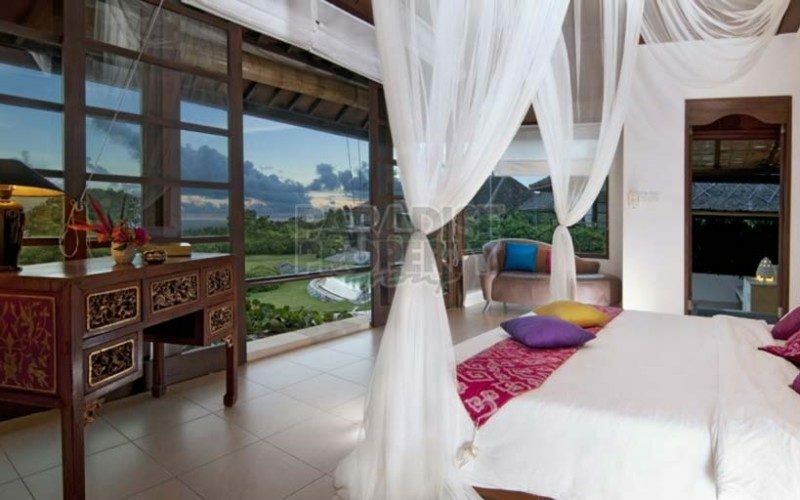 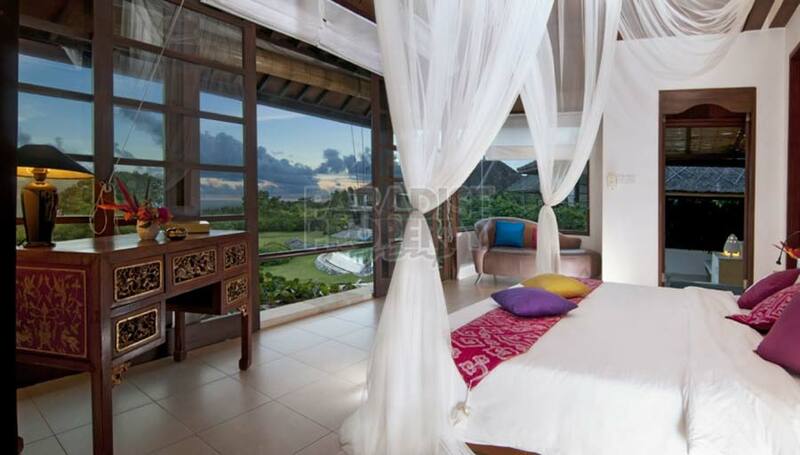 Each villa includes an en-suite master bedroom, a second bedroom or study room, air conditioning, floor-to-ceiling windows and glass sliding doors, dip pool, lotus ponds, luxuriously cushioned bale-bales and verandas, floating above an expansive terraced garden with breezes and views of an azure ocean. 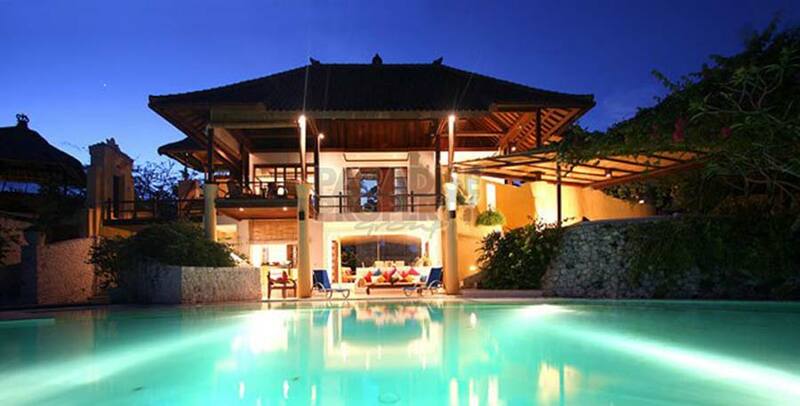 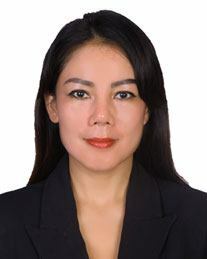 Currently being run as a successful Buisiness and strong Return on Investment.